VX Series | Horizontal Pillow Packaging Machines | Products | FUJI MACHINERY CO.,LTD. 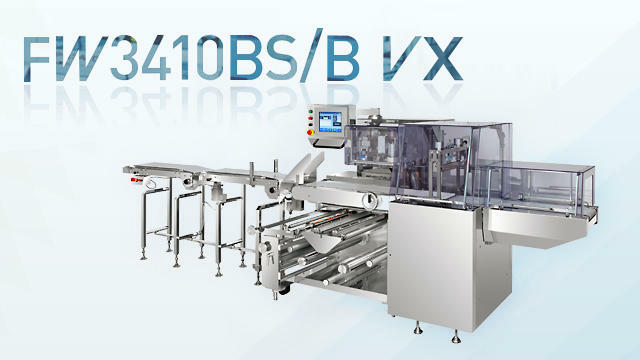 The FW3410BS/B VX is a machine designed to package fruits and vegetables in a pillow pack style with three seals. The FW3410BS/B VX features strength, reliability, operation simplicity, and energy saving fin-seal technology for packaging "various" sizes of products. With the belt infeed conveyor, you can gently package a wide range of products.